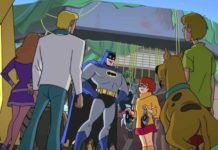 SCOOBY DOO AND BATMAN: THE BRAVE AND THE BOLD – New Preview Clip! 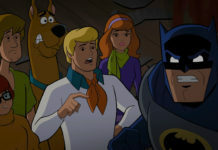 SCOOBY DOO & BATMAN: THE BRAVE AND THE BOLD arrives from Warner Bros. Home Entertainment on DVD and Digital tomorrow — Tuesday, January 9th. 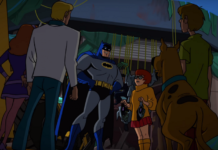 Below you’ll find a new preview clip — “Mystery Inc. Meets The Dark Knight” — via the fine folks from Warner Bros., as well as three pics from this past weekend’s premiere in Hollywood. 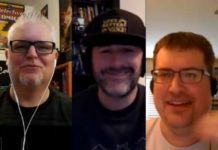 Check out my (Jett) review HERE, as well as Justin Kowalski’s review/premiere report HERE. SCOOBY DOO! 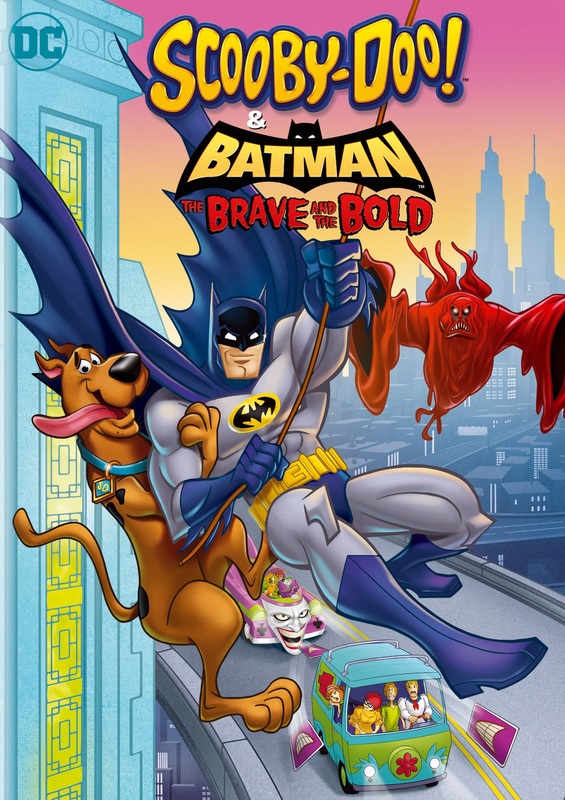 & BATMAN: THE BRAVE AND THE BOLD is directed by Jake Castorena. Paul Giacoppo wrote the teleplay, which is based on a story by supervising producer James Tucker. Michael Jelenic is producer on the film, with Sam Register, Benjamin Melniker, and Michael Uslan serving as executive producers. 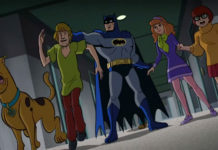 The main voice cast includes Diedrich Bader as Batman, Frank Welker as Scooby-Doo and Fred, Grey Griffin as Daphne and Black Canary, Matthew Lillard as Shaggy, and Kate Micucci as Velma. 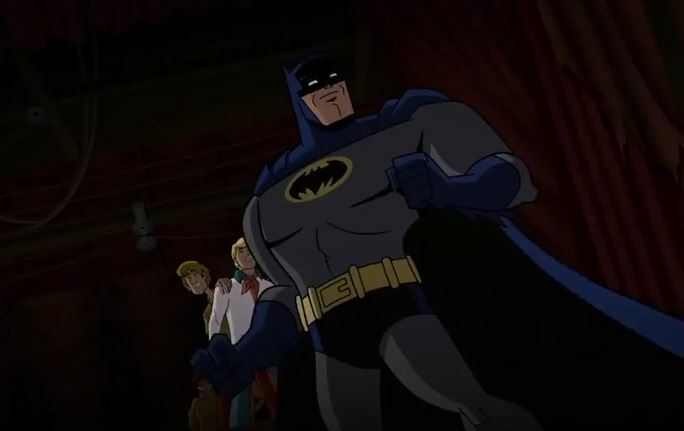 The guest cast is comprised of Jeff Bennett as Joker, Jeffrey Combs as The Question, John DiMaggio as Aquaman, Nika Futterman as Catwoman, Nicholas Guest as Martian Manhunter, John Michael Higgins as The Riddler, Tom Kenny as Penguin and Plastic Man, Kevin Michael Richardson as Detective Chimp, Tara Strong as Harley Quinn and Poison Ivy, and Fred Tatasciore as Harvey Bullock. 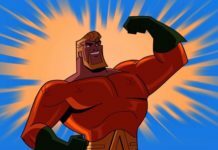 When Aquaman Plugs Your Website, It’s Outrageous! SCOOBY DOO! & BATMAN:THE BRAVE AND BOLD Fan Event Info!